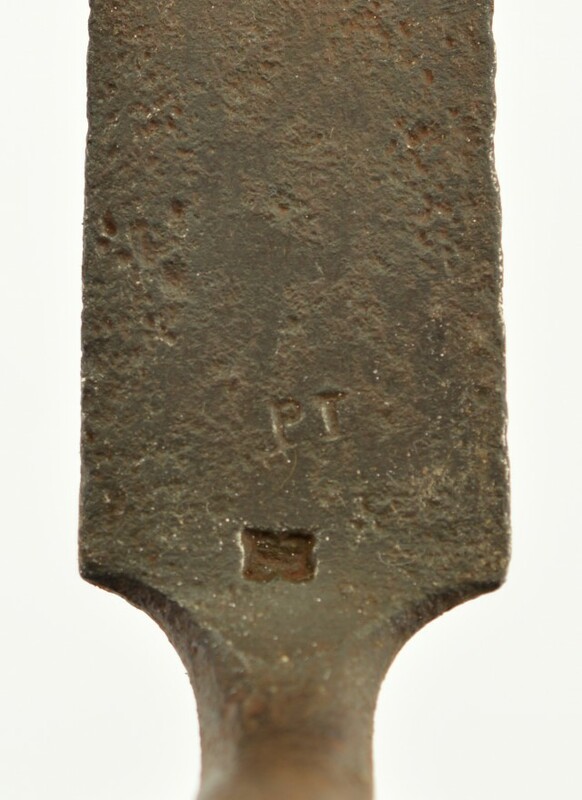 Description: This scarce early bayonet is deeply stamped US with lighter PT above. 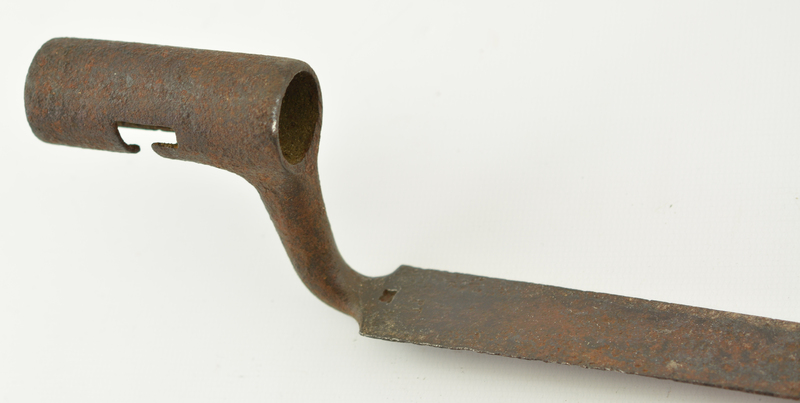 This 17 inch bayonet has no bridge sharp shoulders and has been repointed during period of use with sides filed to a point probably after tip was broken. 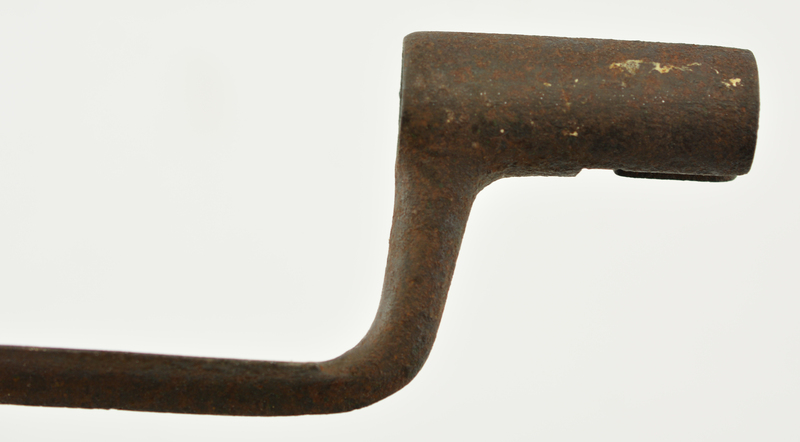 Socket is 2 5/8 inches long with .860 inside diameter at muzzle. Top of blade has a five inch fuller at tip. Surfaces show heavy pitting and scale. An interesting early US bayonet that probably saw service in the war of 1812.